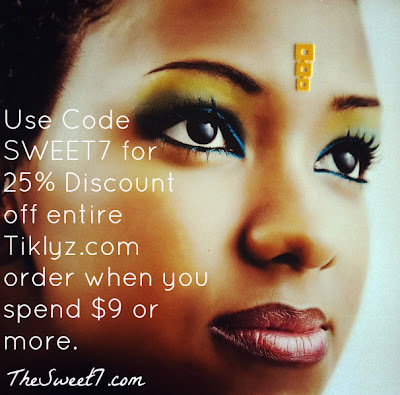 Tiklyz (Tick-Leez) are colorful, bold and stylish accessories that can be worn on the face, neck or back, bringing an innate cultural phenomenon to the western world. Inspired by the word "Tickli" used in Western India to describe a small dot or drop. There are two product lines, Splash and Bling. Splash adds a splash of color while Bling adds the sparkle to the face. Simply remove Tiklyz (peel n stick style). Perfect to adorn carnival faces. Thanks for the tip. I just placed an order using your discount code.